A judge has appointed a mediator in a federal case that could dramatically change how the state of Michigan responds to the Flint water crisis. 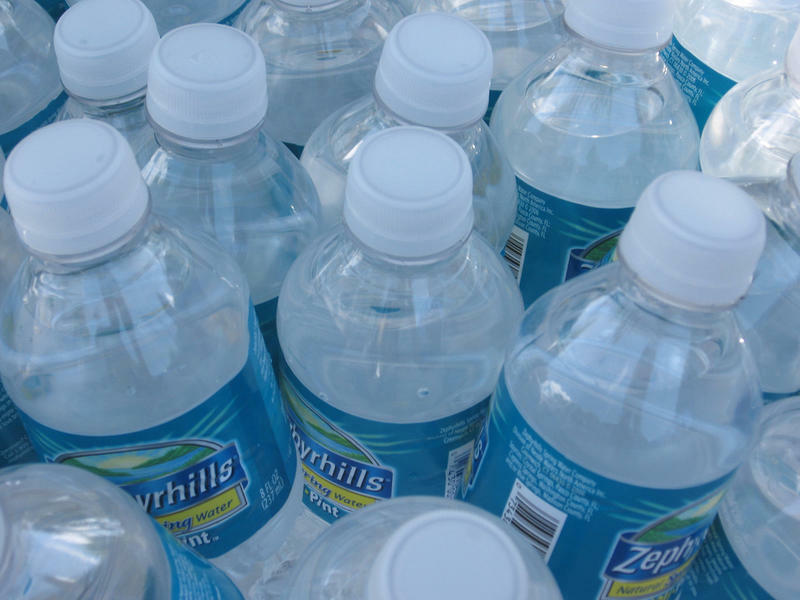 Last month, U.S. District Judge David Lawson ordered the state to immediately begin delivering safe bottled water to Flint residents. Right now the state provides water and filters but residents have to pick it up or call a hotline to get it delivered. Flint officials argue in court documents the city simply cannot afford to deliver supplies to everyone. The state filed documents saying water tests show Flint’s water is meeting federal standards. The state is asking Judge Lawson to dissolve this order. Flint's water is technically still not safe to drink without a filter. There is a meeting at U.S. EPA region headquarters next month in Chicago to compare data sets and figure out recommendations and next steps. Paul Monicatti, who has offices in Troy, has been doing this type of mediation work for 30 years. He can't speak to the media about the case, but his bio says he has both law and chemistry degrees. His biggest case was a multi-billion-dollar settlement involving Dow Corning’s silicone breast implants in the 1990s. It’s not clear if Judge Lawson will rule on either side’s motions while the mediation is taking place. A group of Flint residents filed the class action case with help from the ACLU and Natural Resources Defense Council. The case alleges the state and City of Flint repeatedly violated federal laws regarding water contamination and failed to ensure there is safe drinking water for the public. The lawsuit asks a federal judge to order the defendants replace all lead pipes in Flint at no cost to the users of the lines and to ensure defendants do not commit any more actions against the Safe Drinking Water Act. It also asks for defendants to remedy the damage done already, in whatever way the court deems necessary. In March 2016, they filed a motion seeking water delivery or professional installation of water filters. Governor Rick Snyder is not a party to the lawsuit, but his office says he believes “mediation is the best way forward in this case.” His attorney sent a letter to Judge Lawson requesting mediation earlier this month. 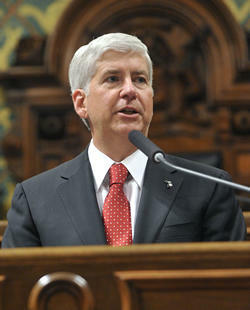 LANSING, Mich. (AP) - It was an expensive year for Gov. Rick Snyder and lawmakers who spent hundreds of millions of dollars to address Flint's water emergency and to rescue Detroit's school district from massive debt. Legislators also authorized higher speed limits and allowed the testing of self-driving cars on public roads without a driver or steering wheel. Other top laws include new medical marijuana regulations and the authorization of higher speed limits on rural highways. “Cavalier." That’s how one group is describing the state of Michigan’s response to the latest attempt to force bottled water delivery to Flint homes. Several groups, along with Flint residents, want the state and city to deliver bottled water to Flint homes without a working water filter. 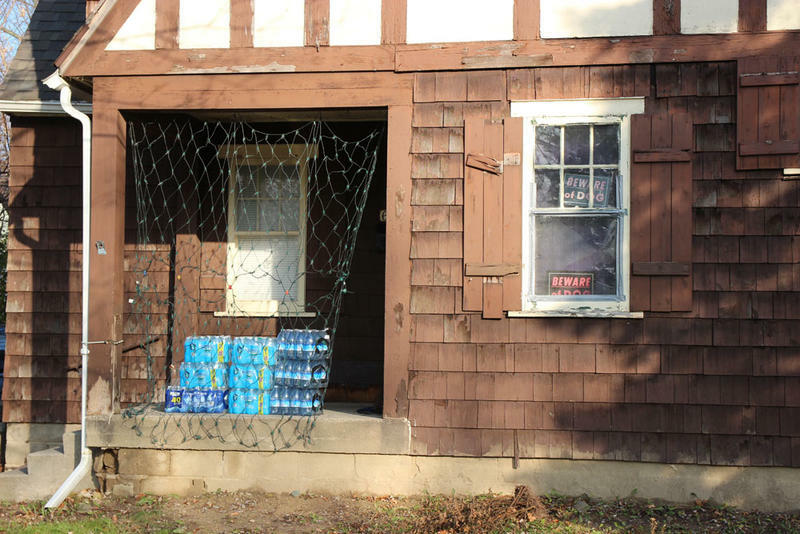 Last month, a federal judge ordered home water deliveries. And last week, an Appeals Court rejected the state’s request to put the order on hold. 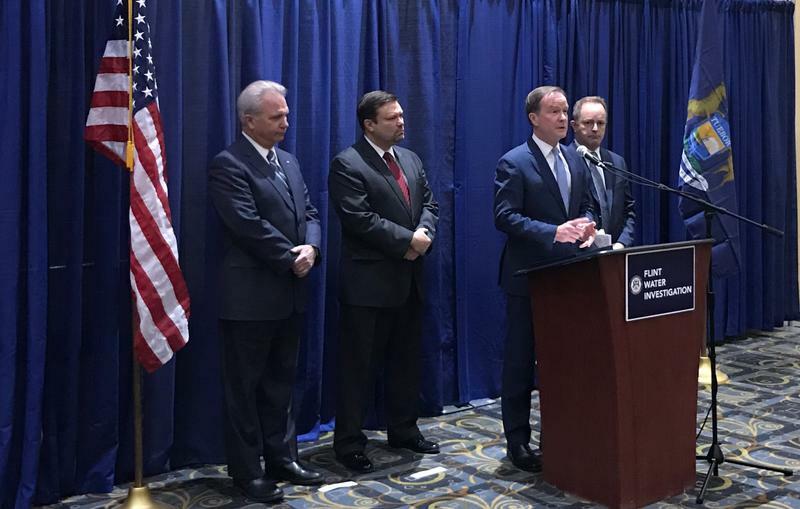 Michigan Attorney General Bill Schuette filed criminal charges against two former City of Flint employees, and two former state-appointed emergency managers in Flint. A year ago, Flint Mayor Karen Weaver declared a state of emergency in the city. Now, officials say the water is improving, but it’s still not safe to drink without a filter. The water crisis has forced some people to make tough choices. Dana Banks and her husband Charles were both born and raised in Flint, and they still have a lot of family here. Their church is here. 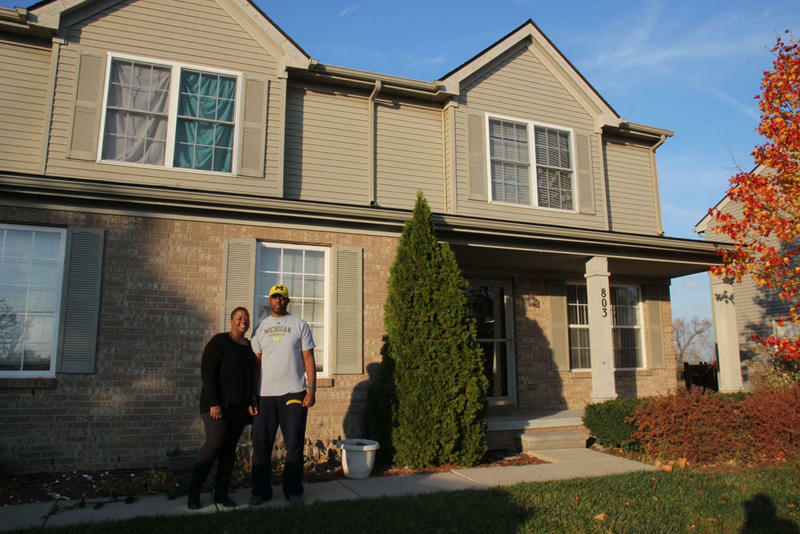 Their house, right near downtown, is the first home they bought together. The state of Michigan is asking a judge to drop an order that requires water delivery in Flint for residents who don't have a filter. In a court filing Tuesday, the state says tests show Flint water is in compliance with federal standards for lead. Separately, Virginia Tech expert Marc Edwards says his tests also show significant improvement. Still, the state and Edwards both say residents should not drink unfiltered tap water. Governor Rick Snyder has increased his legal defense budget for one of his private attorneys to $3.5 million dollars. Snyder hired Warner, Norcross & Judd LLP last spring to represent him in the investigations into the Flint water crisis. The contract for their firm at the time was for 249-thousand dollars. Over time, that cap rose to 2 million dollars before its most recent increase. Spokesperson for Governor Snyder, Anna Heaton, said as long as the Attorney General’s investigation is ongoing, there is legal work to be done. 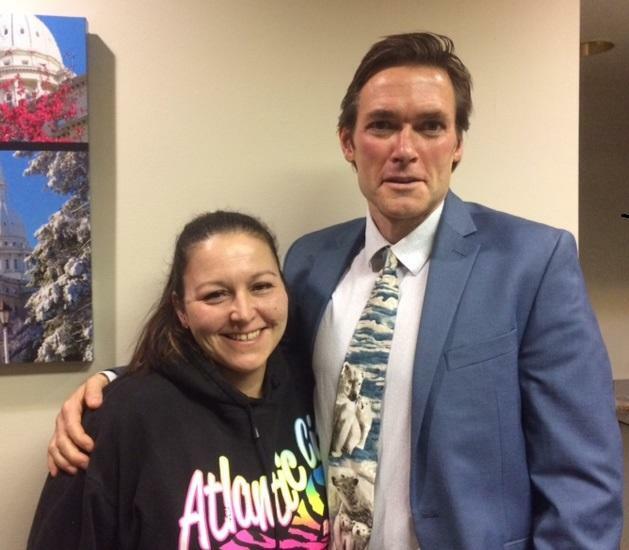 Part one of our conversation with Marc Edwards and Lee Anne Walters. Edwards is an expert on water treatment and corrosion at Virginia Tech. Walters is a Flint resident and activist. In April 2014, the fateful decision was made to change Flint's drinking water source to the Flint River. That led to what is known world-wide as the Flint water disaster. But it took activist citizens like Lee Anne Walters working with Virginia Tech engineer Marc Edwards to rip apart layers of denial and stonewalling from state and Environmental Protection Agency officials. In 2001, Edwards proved that people in Washington D.C. were drinking lead-poisoned water after the city changed water treatment chemicals. So, when Walters and other worried Flint residents called, he answered. They joined us today, a year after the city officially declared a state of emergency.